The connection between American popular culture and religion is the subject of this multifaceted and innovative collection. In fourteen lively essays whose topics range from the divine feminine inThe Da Vinci Codeto Madonna's "Like a Prayer," and from the world of sports to the ways in which cyberculture has influenced traditional religions, this book offers fascinating insights into what popular culture reveals about the nature of American religion today. Revised throughout, this new edition features three new essays--including a fascinating look at the role of women in apocalyptic fiction such as theLeft Behindseries--and editor Bruce David Forbes has written a new introduction. In addition to the new textual material, each chapter concludes with a set of suggested discussion questions. 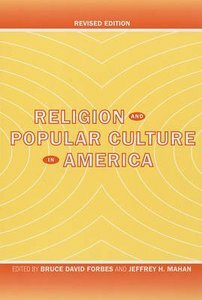 About "Religion and Popular Culture in America"